(12:59) The great Adam Jahns from a hotel room in Ottawa! He weighs in on the mood at Halas Hall, the impact of Khalil Mack and the offensive futures of Jordan Howard , Kevin White, James Daniels…etc. (32:17) Reverend Dave on God and the 2018 Chicago Bears. They have something in common. 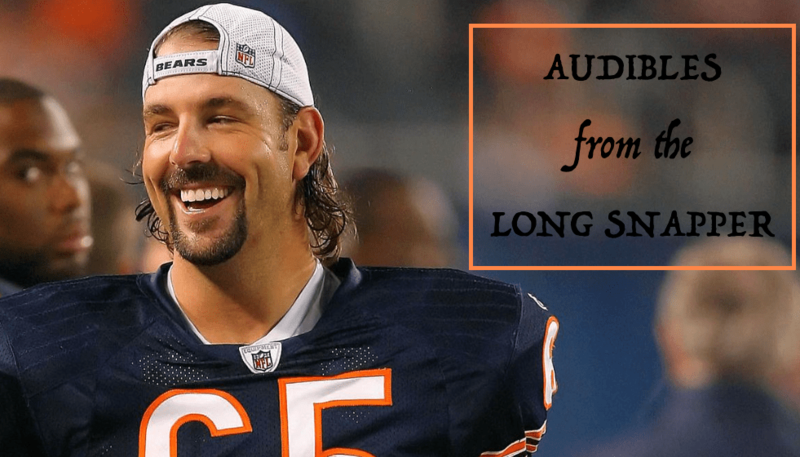 Audibles: Jahns on Nagy Hiring, Tight End Stuff & Links! “At one point, I looked back, and Ted’s glasses flew off his head,” Pace said. “I was thinking to myself, ‘OK, if this thing goes down, it’s probably better that it’s on the descent because there is less fuel,’ ” Pace said. They made it and were soon off to Foxborough, where Patriots offensive coordinator Josh McDaniels was interviewed past midnight. What do I find particularly interesting here? Reverend Dave misses losing the big game. Wee bit of music from The Fall!